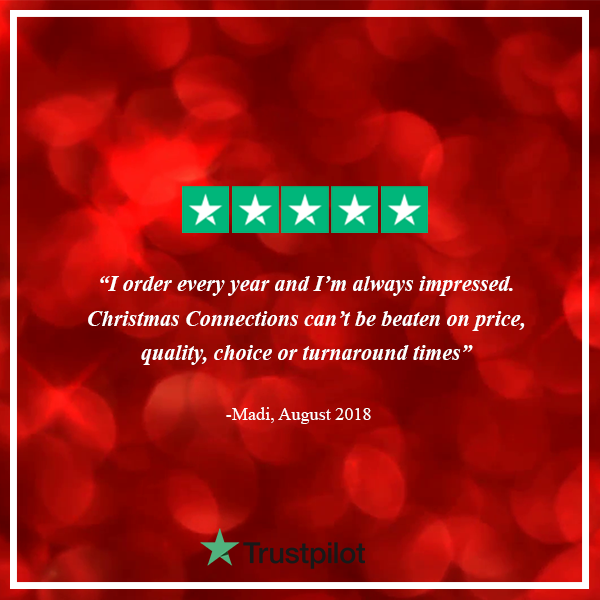 Did you know we’re rated 9/10 on TrustPilot? Christmas Connections was formed in 2004 as the direct to consumer brand of CCA. 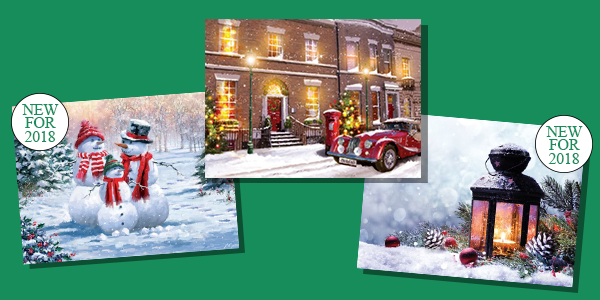 Who started producing Christmas cards under the name The Christmas Card Association in 1906. Since then we have seen technology and our routes to market change considerably. 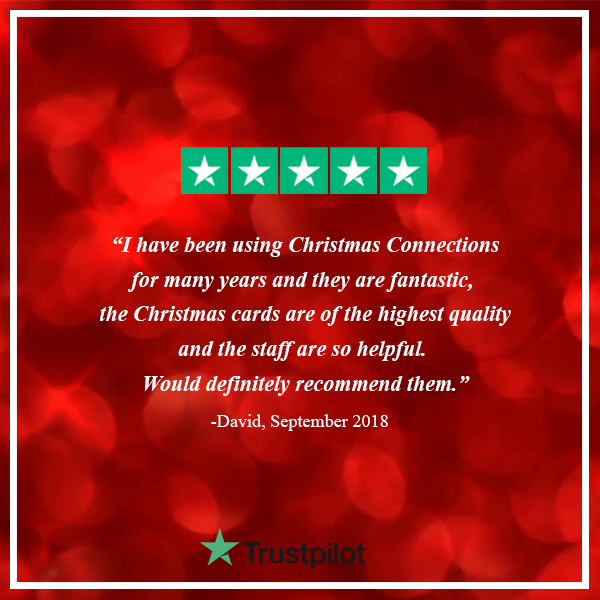 However during this time our commitment to delivering the finest cards in the UK has never wavered. 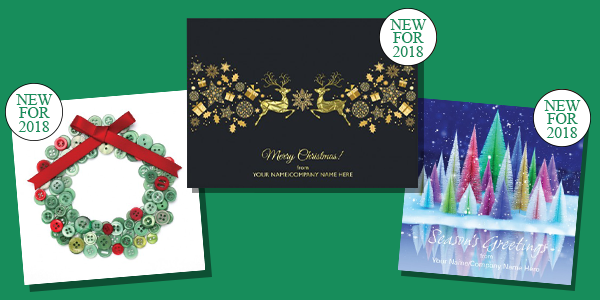 With 112 years of personalised Christmas card history you can trust us to deliver your seasonal greetings. Our manufacturing expertise mixes traditional finishes such as embosses, foil and flitter. With the latest digital printing technology to give you the widest selection of high quality cards in the marketplace. Produced in the UK our order turnaround from customer proof approval is under three days for most types of cards. You can be confident of joining the tens of thousands of satisfied customers who buy our products each year. With the breadth of our range whether you are looking for a card which features traditional images, humour, luxury finishes, fine art. Or you want to incorporate your own image or logo onto a card we are sure you will find plenty of inspiration on our website. Our cards are appropriate for both Corporate and personal use. We also offer a free sample service should you wish to fully appreciate the finishes of each card. 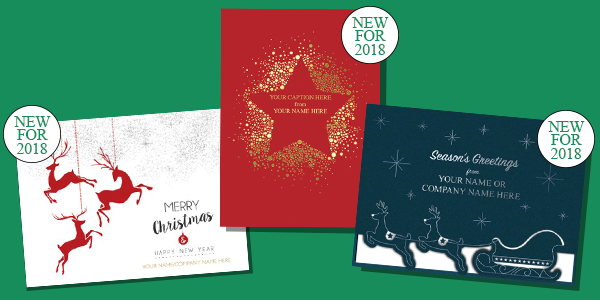 All of our cards can be customised to allow you to express a festive greeting unique to yourself. We can include your own photograph or logo on the front of some cards. As well as a wide range of greetings and further options are available for the card interior. If you require bespoke services in addition to those on the site please contact us and we will do our best to accommodate. And don’t forget that each order can support a charity, our main charity partners are listed here, however if you have another preferred charity you wish to support please get in touch, chances are we have an agreement in place with them. But don’t just take our word for it! 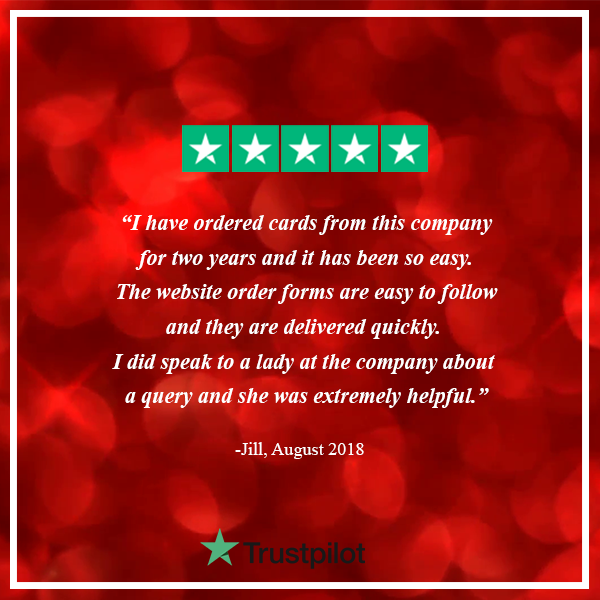 Here are some reviews from our wonderful customers!